Born Oct. 13, 1950 in Cuba, he came to the U.S. with his family at age 11, graduated from Hialeah High School and served in the U.S. Army. He entered the seminary at age 40, after 13 years as a criminal defense attorney, and was ordained for the Archdiocese of Miami in 1996. 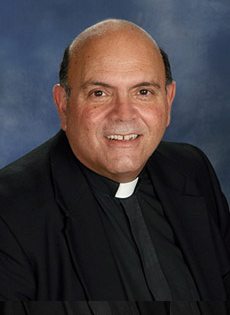 In addition to his duties as pastor, he also serves as a judge in the Metropolitan Tribunal and supervising principal of St. Brendan High School. Currently Fr. Her�a is Rector at Our Lady of Charity National Shrine. 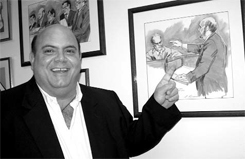 Artist�s sketches hanging in the rectory of St. Brendan show Father Heria as a criminal defense attorney during a high-profile drug case in Chicago.